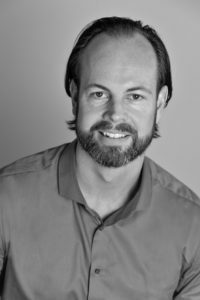 Dr. Wigton is a board Certified Neurofeedback Therapist (Fellow), an Arizona Licensed Professional Counselor, and is also certified as a QEEG Diplomate. She has been in the counseling field since 1986, and established the Applied Neurotherapy Center in 2000 when she added QEEG-based Neurofeedback to her practice. She has been an Arizona state Certified and/or Licensed Professional Counselor since 1994, but since 1999 have been focusing exclusively on providing Neurofeedback. Dr. Wigton’s certifications include being a Board Certified Neurofeedback Therapist (BCN) at the Fellow level from the Biofeedback Certification International Alliance (BCIA), a Quantitative EEG Diplomat (QEEG-D), as well as a Kolbe Certified Consultant. 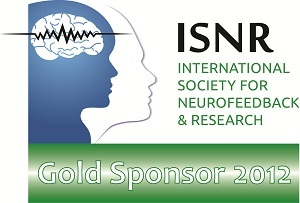 Dr. Wigton is an active member of the International Society for Neurofeedback and Research (ISNR) which is the primary professional organization for Neurofeedback clinicians and researchers. More than a decade of experience as a Neurofeedback therapist has demonstrated to her, beyond a shadow of a doubt, that Neurofeedback is most definitely an effective non-drug, long term (if not permanent) treatment for many mental health disorders. She has had the honor and blessing to facilitate life-changing improvement in countless numbers of clients over the years. She is passionate about the work that she does and in providing the best possible care for her clients. From a personal standpoint Dr. Wigton had been happily married since 1997, and is a proud mother of her son that is serving in the US Navy. Dr. Wigton had also been involved in a fascinating endeavor as a co-investigator in original research related to the quantitative analysis of conation in the brain. Currently she is enrolled as a doctoral student at Grand Canyon University pursuing a Ph.D. in General Psychology with an emphasis in Cognition and Instruction. For psychotherapists, or other health professionals, who would like their clients to have access to Neurotherapy but who are unable to provide these services themselves, Dr. Wigton is available to provide Neurofeedback to your clients while honoring your current therapeutic relationship.